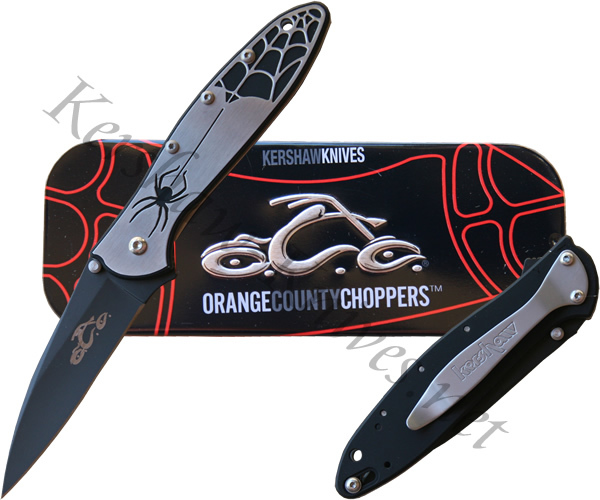 The Kershaw 1660OCC is the Orange County Choppers version of the Leek. This special edition knife features inspiration from the Orange County Choppers logo and comes complete with a gift tin. The assisted opening blade has a blade non-reflective coating and is made from Sandvik 14C28N. The OCC logo is engraved on top of the black coating. The handle has a spider web overlay.